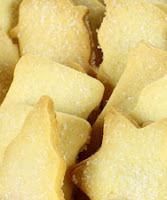 On the the 12th day of Christmas we make and consume delicious buttery shortbread! For Christmas there's nothing nicer than a cup of tea at the end of the day and a delicious shortbread to dunk and then melt in your mouth! This is a truly simple recipe and one that can be used for any time of the year when you need some shortbread goodness! 250g butter (at room temperature). Mix all the ingredients into one bowl until a dough is formed. Place the dough in between two sheets of baking paper and roll out to 1cm thickness. Cut out into Christmas shapes or a traditional rectangular short bread biscuit size and place in a moderate oven until golden (but not burnt!). You can sprinkle granulated sugar on top of the short bread if you like a little extra sweetness. 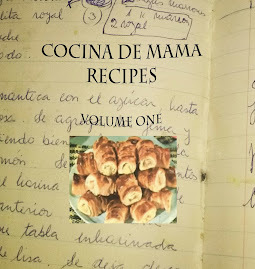 Watch the live recipe on Cocina de Mama's Youtube channel! I enjoyed reading the recipes you posted for the ten days of Christmas. I shall be trying out a few of them in preparation for next Christmas. I'm so glad I have discovered your blog - it's such a joy. So glad you enjoyed the recipes Janetta - it's so lovely to hear! Hope you had a wonderful Christmas and New Year!